There are numerous ways through which you can use coffee grounds that are left in the cup after drinking the very popular and for many people favourite beverage. Rare are households in which you will not find coffee. No matter if you are coffee lover or not, you should know the following: you can always use the remaining coffee grounds in your home in many ways. Put little bit of coffee grounds into a plastic zip lock bag, place the bag into the sneakers and let it stand there for some time. After a while the unpleasant odor will be gone thanks to the coffee grounds. Apply small amount of coffee grounds under your eyes and let it act for a while. 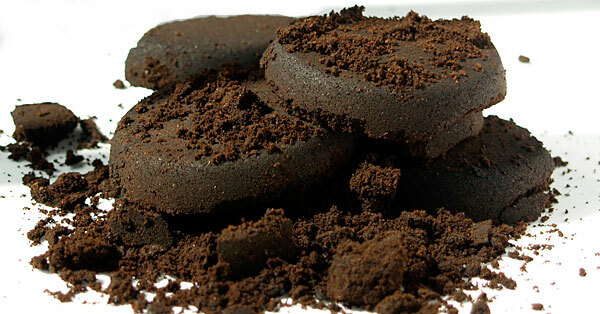 The coffee grounds’ caffeine will make you look wide awake and refreshed. In fact, the best, most effective and probably most of the expensive creams, which are meant for application around the eyes, contain caffeine in their consistence. Caffeine possesses the ability to increase blood circulation and thus reduces the swelling. Place coffee grounds in a bowl and then place the bowl in the refrigerator or freezer. The coffee grounds will neutralize the unpleasant smell. Also, you can rub your hands with coffee grounds if you want to remove some unpleasant smell off of them, like the smell of garlic, for example. Coffee grounds are extremely good when it comes to making skin peeling, thanks to coffee’s roughened texture. You can use it for face application. You can also add a tablespoon of honey into the coffee ground you are about to use. If you own plants such as camellias, hydrangea or azalea, that want acidic soil, you can treat them with coffee grounds. The coffee grounds will change hydrangea’s color from pink to blue. Add one tablespoon of coffee grounds into the dog shampoo if your pet suffers from flea invasion. This will solve the problem simple and easy. Apply little bit of coffee grounds on the area from which you want to remove insects or ants. Coffee grounds will repeal insects and it is also effective against snails and other insects. Coffee ground is abrasive cleaning agent and it is great for cleaning oily and dirty surfaces. You can either use the coffee grounds alone, or in combination with dish washing detergent. If you want your pet to stop wandering around your garden, then put a mixture made of coffee grounds and orange zest around the plants you want to safe from damaging. Soak some coffee grounds in hot water and you will have natural brown color for fabrics. You can reduce the visibility of scratches on the wooden furniture by rubbing a mixture made of coffee grounds, polishing paste and lukewarm water onto the scratched area. Repeat this procedure until the scratches are with the same color as the other part of the furniture’s surface. Mix some coffee grounds with the carrot seeds before planting the vegetable. This way you will not only manage to have better harvest later on, but you will also prevent worms from eating the carrots. Before you start cleaning the fireplace, put some coffee grounds onto the ashes. This way you will prevent the ash dust from going all over the place.